After Dinner Treats: Elle's Studio New Collections are here! the new elle’s studio collections are up in the shop! love you more and everyday moments collections, along with new wood veneers and alphabet stickers in four different colours are all ready to be added into your cart! 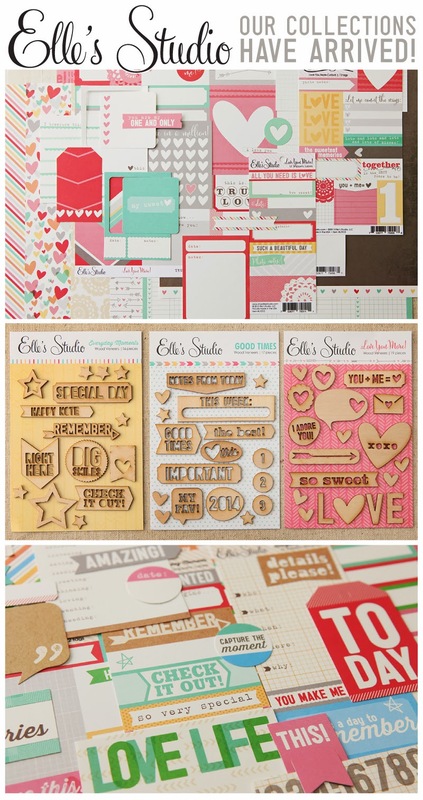 you can also find these beautiful products in other online and scrapbook stores. the new products have just started shipping last week so if you can’t find them in your favourite store yet, they should be arriving really soon! to celebrate this launch, elle’s studio is offering free shipping on orders over $50 for usa (coupon code: 50freeship) and $75 for canada/international (coupon code: 75freeship) this weekend only! do take note that the coupon code must be used at checkout. this offer expires on monday, 27 january 2014 so do start your shopping now! you can also check out the blog for some inspiration using the new collections!